New York has a once-in-a-lifetime chance to enact a number of criminal justice reforms during the month of March; reforms that include ending the unfair system of cash bail, mandating that those charged with most misdemeanors and nonviolent felonies be released; and requiring prosecutors to share evidence with the defense early on in a case. The last time that New York passed any kind of bail reforms was the 1970s. Unfortunately, the reforms face some opposition: The District Attorneys Association of the State of New York–representing 62 elected county district attorneys–has officially opposed the proposals. According to the Association, not only would the proposals increase overall costs, but they would also increase the workload for prosecutors by requiring them to turn over evidence early in the case preparation process. The opposition has also drawn in the National Association of Women, which claims that early discovery could discourage victims from initially going to the police. With the exception of areas like Brooklyn, New York lags far behind discovery rule requirements in other states. To date, prosecutors can withhold evidence from the defense until the actual day of the trial. In addition, crime victims helped draft these new proposals, and they include the ability for prosecutors to seek protective orders in order to withhold information necessary to protect both victims and witnesses. Early discovery is the rule and runs smoothly in a number of other states, and is supported by a majority of both prosecutors and defense attorneys, who have reportedly found that seeking protective orders works well in protecting defendants. The new proposed reforms would go even further than areas like Brooklyn, where prosecutors already turn over evidence early most of the time, but still have some leeway to withhold evidence in some cases. Specifically, in addition to the elimination of the cash bail system, individuals charged with some felonies and most misdemeanors would have to be released, and anyone detained would be entitled to a hearing within three days of being arrested. Prosecutors would then have to argue that a defendant poses a risk or threat to someone in order to maintain their detention. 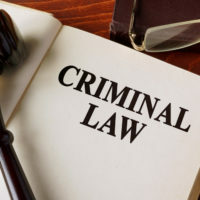 Still, the proposals aren’t perfect even to those who advocate for criminal justice reform: According to some advocates, they still do not go far enough because bail would still be required for some misdemeanor crimes. If you have been accused of a crime in New York, or been the victim of the cash bail system or the withholding of evidence in your trial, contact our experienced New York criminal defense attorneys at the office of Phillip J. Murphy to find out how we can provide you with the best legal advice and defense.